Credits: During the show, as part of our discussion, I play 3 short topical clips from 1959 movie “On the Beach” starring Ava Gardener and Gregory Peck. Future Earth may be home to grass, bugs, and maybe, – maybe – a few humans. It’s a hot radioactive world, a time our next guest calls the Plutocene. This doesn’t come from a sci-fi writer or conspiracy blogger. 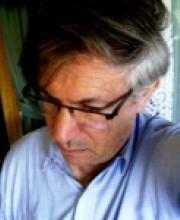 We’ll be talking about the new book by a preeminent Australian scientist, Dr. Andrew Glikson. Andrew is an Earth and paleoclimate scientist, currently a Visiting Fellow at Australian National University. He was educated in Australia, where he traveled extensively into the “outback” investigating the signs kept in some of Earth’s oldest rocks. He knows the science of climate, geology, asteroids, volcanoes, and nuclear radiation. 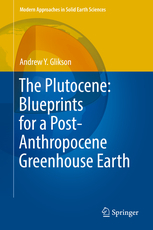 All of that comes together in his new book “The Plutocene: Blueprints for a Post-Anthropocene Greenhouse Earth“. It is published by Springer, the serious textbook and science people. Andrew and I have been in email contact at least since 2008, when I ran his speech at Australia National University – in the Radio Ecoshock show “A Warning from the Past” 080704. It’s great to talk in person, despite the bad news for living things on the planet. In addition to his dozens and dozens of peer-reviewed papers published in scientific journals, Andrew is a prolific author of articles. You can listen to that 2008 speech by Glikson in my show right now, or download a Lo-Fi version of it here. I offer this warning to delicate listeners: Dr. Glikson says the future may be, quote, “a post-Anthropocene republic of grasses and insects dominated by tropical climate and high radioactivity for at least 20,000 years.” In this interview we uncover how he arrives at the gloomy forecast. Andrew is a paleoclimatologist, and Earth scientist. We discuss the existential threats of climate change in our second segment. But Glikson begins his new book with our outlook for nuclear catastrophe. But first we cover the letter Glikson organized with Australian scientists to warn their Prime Minister about the super risks posed by climate change. About 200 Australian scientists signed it, which Andrew says is about 10 % of them. There is still, as James Hansen says, too much “scientific reticence”. Maybe that’s not surprising considering Prime Minister Turnbull’s total turn-around from climate awareness to supporting giant new coal mines in his country. There is also “media reticence” (or just plain climate denial) in Australia, where Rupert Murdoch owns most of the press, and the government funds the balance. Hardly anyone in Australia covered this unusual warning by scientists. You can read that letter from scientists here. As a tiny speck of Australian media with Radio Ecoshock on two small stations there, I read out the letter at the end of this show. In Chapter One, Andrew writes that our addiction to war. I immediately began scribbling notes that nobody can “guarantee” the future. Maybe a large nuclear war will never happen. But then Glikson explains we have already lived through a kind of nuclear war with the Earth. It’s painful to see the maps and descriptions of nuclear testing all over the world. It wasn’t enough to blow up parts of our own countries, in the United States, the Soviet Union, France and Britain – we had to irradiate other people’s lands. Glikson tells us about some of the places where testing took place, and who got the cancers. In the new Plutocene book I found in Tables 2.2 and 2.4 this amazing fact: Americans on average get more radiation than most other humans. In fact, the average dose for an American is twice the world average. By the way, if you think nuclear weapons madness has gone away somewhere, please read this Reuters article, published November 21st, 2017: “Special Report: In modernizing nuclear arsenal, U.S. stokes new arms race“. It’s horrifying. Glikson studied the past great climate shifts and their causes. He sent me a time map showing those climate shifts, asteroid hits, and volcanic events – and that appears in his new book, courtesy of Keller, 2005. It shows the fundamental history of this planet – which you were never taught in school. Glikson records the unstable climate during the last glacial interlude, but why? Why were humans formed during one of the most up and down periods of Earth’s history, rather than during the many million years of a hotter but more stable time? Are we biologically adapted to instability, depending on it, even though our civilization is not? Glikson says “yes”. In the book, in Figure 1.8 and 1.9 we can see unequivocally where the big carbon emissions are coming from. A map from the Carbon Dioxide Information Analysis Center, Oak Ridge National Laboratory, shows in 2010 the bright yellow and red high emissions from: the Eastern U.S. states, Europe, South Africa, India, China and Indonesia. Figure 1.9, from NASA’s Orbiting Carbon Observatory, shows carbon concentrations in the atmosphere, again with the huge amounts over the same places. This is confirmed evidence. The low producers are in the Canadian and American Rocky Mountains states, in the whole of South America, the rest of Africa, Russia and Australia. These are the less guilty parties, I suppose. So I ask Andrew Glikson for his opinion on James Hansen, and the new theories he has presented lately. Glikson sees Hansen still the climate science leader. It’s interesting to compare the dark vision from Australian scientist Andrew Glikson with the American scientist Guy McPherson. Both expect an over-hot radioactive world. The source of radioactivity is a little different: McPherson foresees a global meltdown of 400 nuclear power reactors, when the grid fails, for various reasons. Glikson is more concerned with nuclear weapons, and military nuclear accidents. The world just experienced an accident related to plutonium in a weapons production facility in southern Russia. Along with Glikson’s theme that we may not know what happened, we only found out about this accident, weeks later, when a radioactive cloud drifted over Europe, where detection machines were set up after the Chernobyl nuclear power accident in 1986. Russia, as a closed society did not tell the world. China would not either. I’m not sure about America, whether the news would leak out along with the radioactivity. There are two more major differences between Glikson’s future and that of Guy McPherson. Primarily, McPherson says we will go extinct, and has at times set a date for our extinction, whether it’s in 10 years or 35 years. Near-term extinction. Glikson does not set any date for the demise of this civilization, but rather a threshold of 4 degrees C for climate, and a great question mark of when military nuclear madness may re-appear on planet Earth. Andrew does not say humans will go extinct. Some of us, perhaps only a few of us, may well survive, near the Arctic Sea, mountain valleys, or who knows where. I do not feel qualified to judge, or predict the future in the developing chaos. I have some suggestions, but even those are not well enough formed to talk about yet. But here, in this book from Andrew Glikson, we have the marriage of nuclear disaster and climate change, both going on together. That is the Plutocene. You can listen to Dr. Glikson’s speech at the book launch on Soundcloud here. Thank you for listening and for hanging in there. My special thanks to those listeners who choose to help Radio Ecoshock survive. Your donations totally support the program. We have no advertising anywhere on the site, and still offer free downloads of all our present and past programs to people all over the world. Radio stations do not pay me. They are non-profit stations, and get the show for free. I don’t get any government or corporate grants. It’s listener-supported radio. That keeps the door open to everyone. If you want to help Radio Ecoshock keep going, please find out more here. By the way, from what I’ve read, the ruthenium fallout cloud over Europe came most likely from a nuclear waste vitrification plant in Russia, not weapons’ production. Just saying – no need to stoke the fires of American paranoia about supposedly inherent “Russian aggression” (that’s how wars get started, especially in a country that’s been justifying its last 70 years of all-non-defensive wars with claims of “humanitarian intervention” and irrational fears of invasion). And no need to act like the ‘peaceful’ nuclear industry is any less dangerous or accident-prone. Back when my country belonged to the Warshaw Pact, we weren’t informed about Chernobyl either (we only found out through West German radio / TV, even if it was technically illegal to access them behind the Iron Curtain), nor did we ever find out about the handful of near-catastrophes in our own sole major nuclear power plant, until it was closed down immediately after the One Party government collapsed. This reason of keeping domestic calm is also why Japan’s government (supposedly democratic, but still considerably more authoritarian than most Western democracies) is cracking down on press freedoms and keeping the death toll from Fukushima a state secret. And as far as I know, the U.S. government didn’t tell their citizens just how bad the accident at Three Mile Island really was either, at least not at the time. Musn’t start a panic, and all that. Especially since the public anger would always be directed at the current government, no matter who it really was who originally made the deals to build these nuclear time bombs. However, I do think the high North American / European radiation exposure value that surprised you in the table might also have a lot to do with routine x-rays and other radiological medicine thanks to well-equiped health care systems in those affluent areas of the world. I.e. a Western European person is likely to get an x-ray not just to set the rare broken bone, but also at the dentist or just to check their winter cold isn’t turning into a severe sinus infection or pneumonia that would require antibiotic treatment. I’ve had at least half a dozen x-rays before I turned 18, and only one of them was for a dislocated finger. I doubt the same is the case for the average Indian or African person. And a single CT-scan (1 – 10 mSv or more) can easily give you the annual radiation dose the average Central European gets (3.8 mSv), all in one go. According to Germany’s Federal Agency for Radiation Protection (more trustworthy in these issues than the governments of nuclear-armed powers like France or the UK; and Germany is already committed to kill its nuclear-fission-based industry so there isn’t much lobby influence anymore), about half of the annual average radiation dose the counrty’s citizenry is exposed to comes from medical applications. And apparently North America has saddled itself with another new source of radioactive contamination in the form of fracking waste, which contains accumulated natural radioactive elements leached from the ground, and still often gets dumped on normal landfills despite being way too “hot” for that.